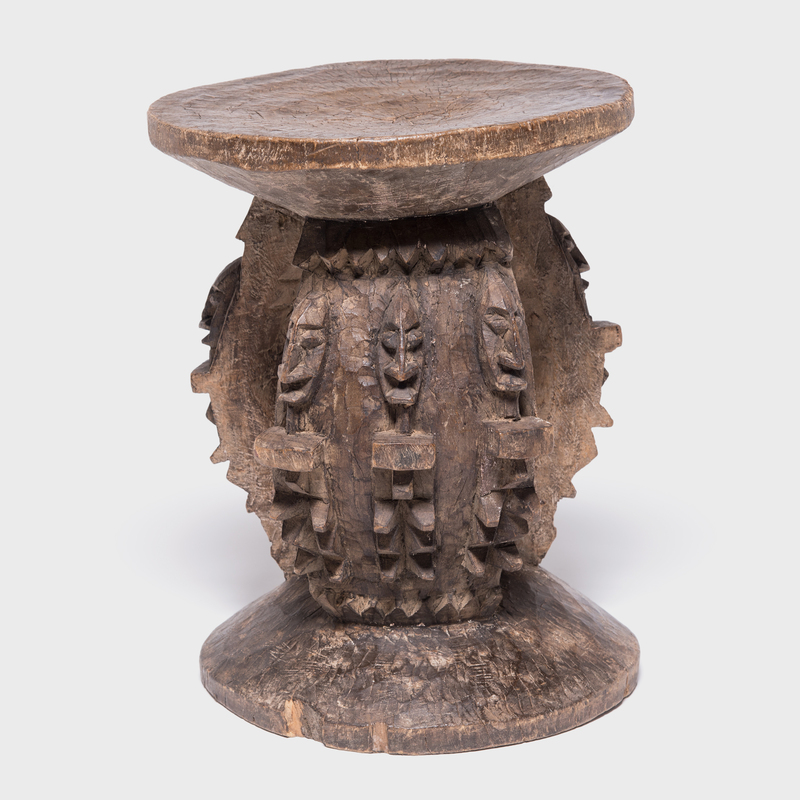 Created by the Dogon people of central Mali, this expressively carved stool continues a tradition of using stools as symbols of authority. 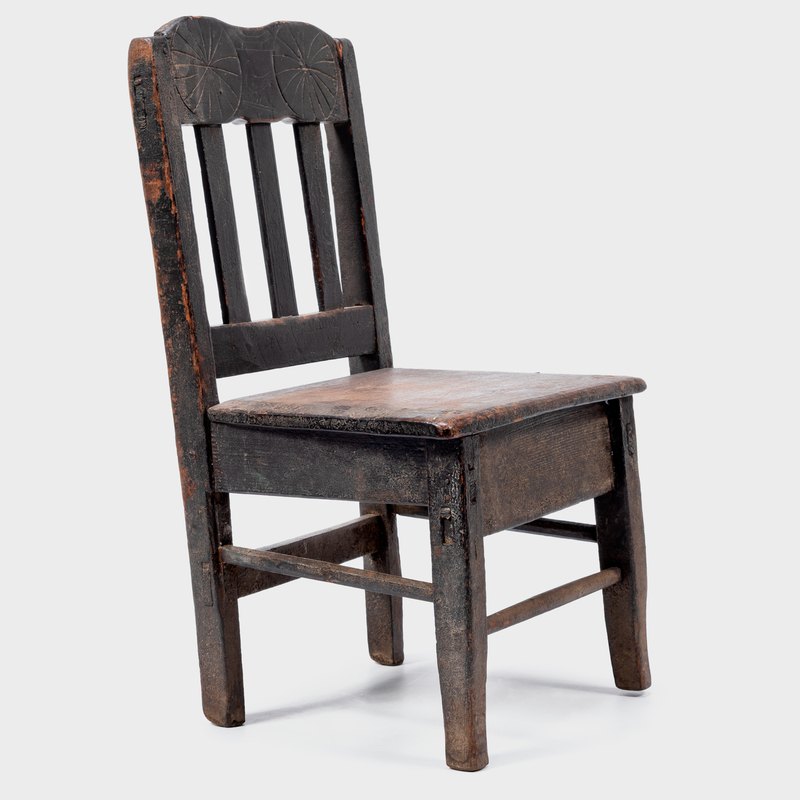 Owning a finely made stool represented one's earned right to sit above, as befit a person of rank. 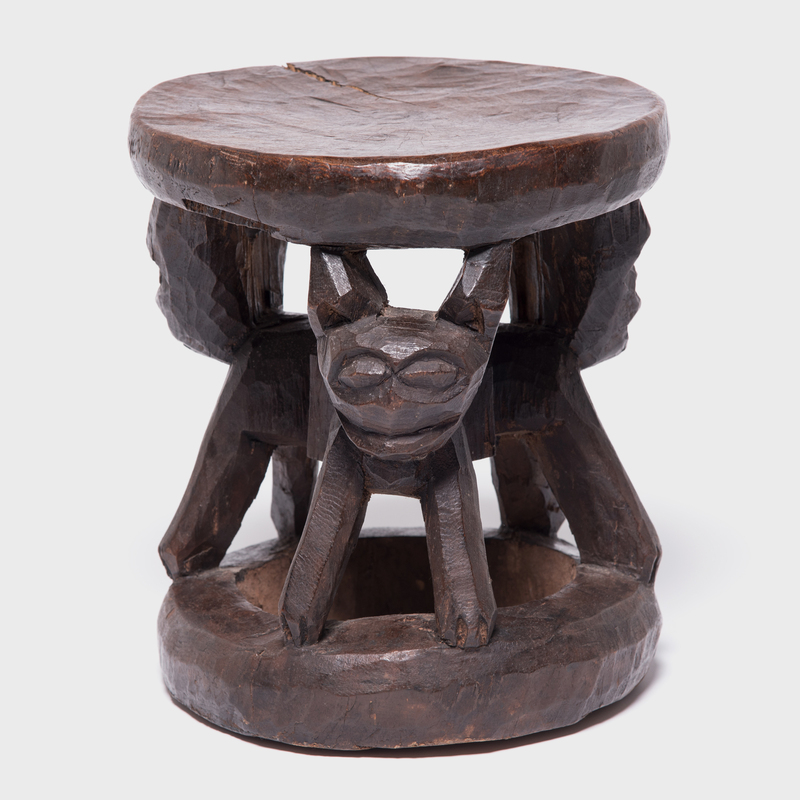 Figures supporting the base, representative of community ancestors, or nommo, indicate that this complex stool was modeled after those used by Hogons, the village spiritual leaders. 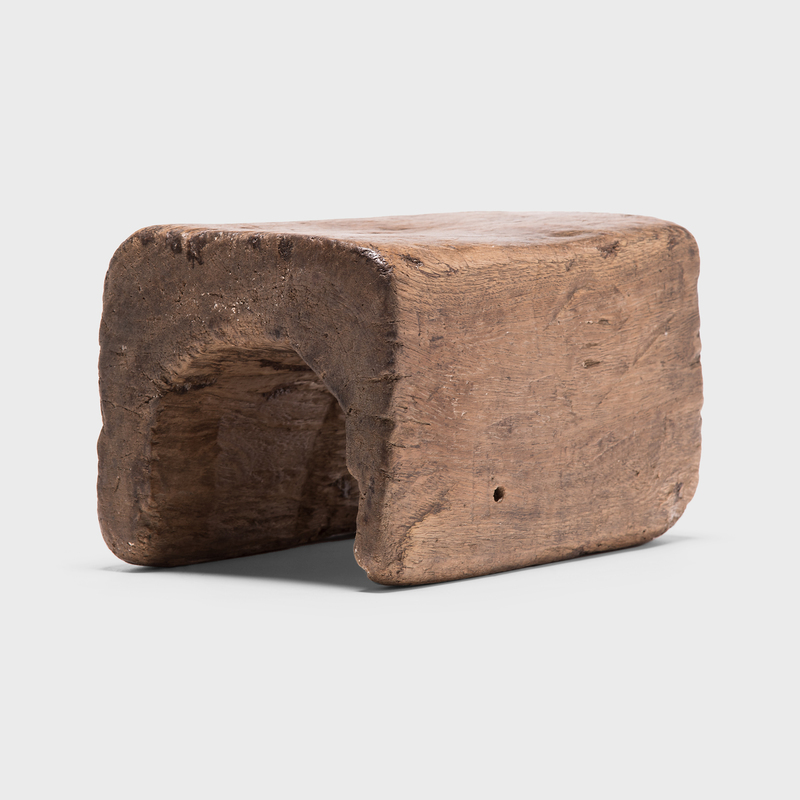 Sculpting intricate patterns from single woodblock was a sign of the artisan's skill, and therefore such a stool would carry even greater cultural significance. 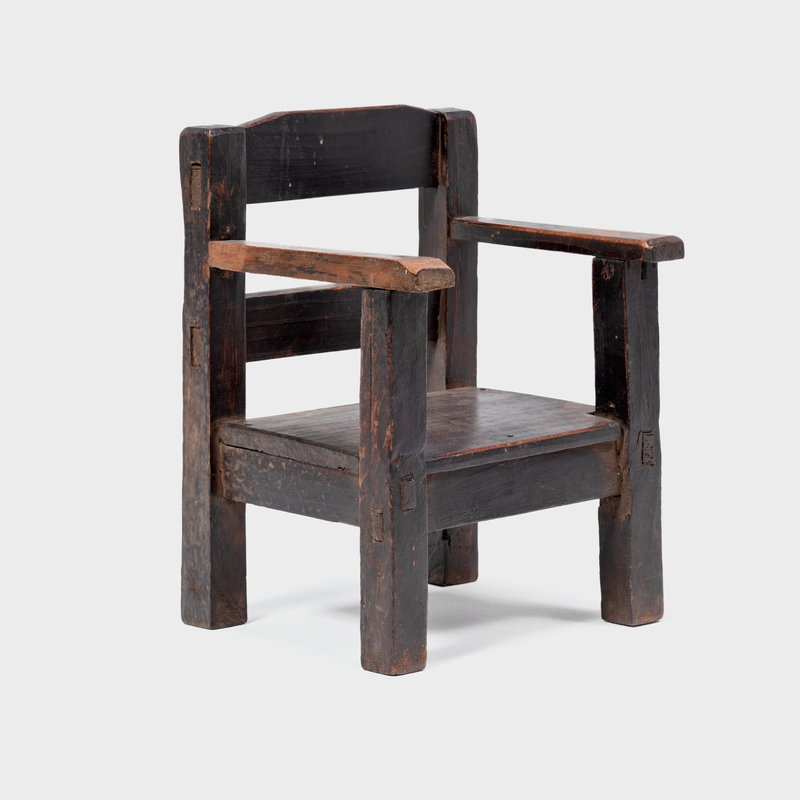 Rich wood, fine design, and the hand made marks of a master craftsperson make this a beautiful sculpture for the modern home.